The Hotel Perla Marina, recently refusbished and extended, is modern and comfortable, offering good value accommodation in a pleasant setting right by the sea. By day guests can relax by the swimming pool, enjoy the on-site amenities on offer or wander down to the sand/shingle beach. 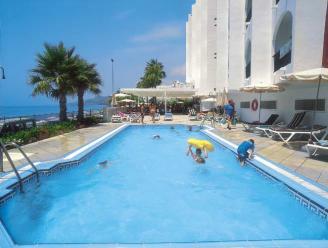 Equally handy is the convenient location to the resort centre around 150 metres away.